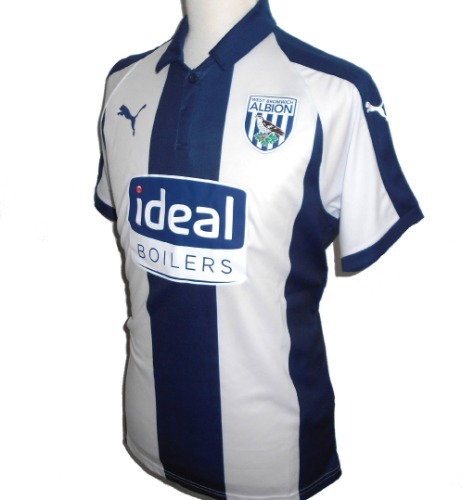 Official Puma home football shirt for West Bromwich Albion FC for the 20-18-2019 Championship season. New with tags. - Heat transferred club badge. - Sponsors patch on chest. - Puma product code K2235001R. - Adult Large size. Chest 43", length 29". - Check out our own photos of the actual shirt (size M shown in photos).